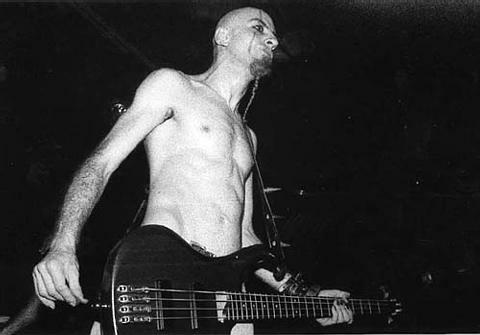 Hey Shavo, let me first say that it’s an honor to have you here on LebMetal; I know that some Lebanese “SOAD” fans will appreciate and love this. SHAVO: Well it’s good to be here, you guys are doing an amazing work on the site, already checked it once or twice. LebMetal: Thank you! Now we all know that “SOAD” split up. What have you been up to? LebMetal: Is directing something you enjoy doing? 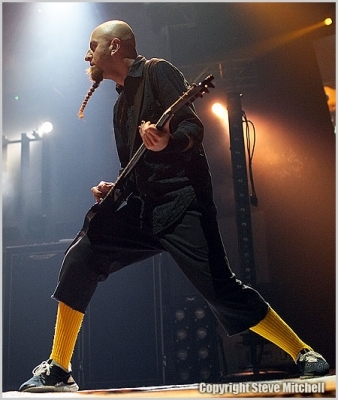 SHAVO: I did “Question!”, “Aerials” and “Toxicity” so I guess I enjoy doing it. I wouldn’t be ripping my a– off if I wasn’t. In the future, I want to do movies. LebMetal: That’s interesting. What about your musical influences? SHAVO: There’s a lot of good stuff out there and it wouldn’t be fair to pick one over all other. But personally I like the Dead Kennedys, Bad Brains, the punk angle. But I also like gothic, rap, heavy metal, techno… Well Ozzy Osbourne, of course, he and Black Sabbath are sort of the godfathers of heavy metal. LebMetal: Now some of the fans don’t know the “Mezmerize|Hypnotize” story. Can you tell me more about that double bill album? 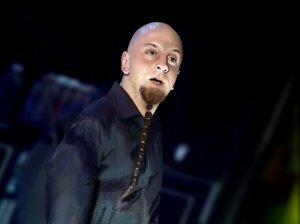 SHAVO: Hehe, you really did your homework. Well, “Hypnotize” is sort of part two. It’s a double album we split in two. Our original plan was to do one album, and when the songs kept pouring out, we thought, “We can’t throw away these songs. They’re good songs. They’re not B-level songs. It wouldn’t be right to throw them away.” We decided to do a double record, but we’re like, in this day and age, with attention spans of people, including ourselves, it’s hard to get used to 24 songs at once. Our songs are pretty crazy, pretty out there, up and down, so we decided to do this. It’s really one record. It’s not two records. We titled them “Mezmerize/Hypnotize” because when you have both of them, the albums link together and they become one record, within the packaging and musically. If you played the first album, “Mezmerize,” into “Hypnotize” to the end, it’s one complete project. LebMetal: Now System of a down was a band with political messages. Do you think your fans understand that or do they just like the music? SHAVO: I think we’re pretty much “in your face.” Should we stop just because some people don’t understand? In general, I think our fans really do understand what we’re about. LebMetal: So is it frustrating putting so much effort into your lyrics knowing some will only go for the sound? 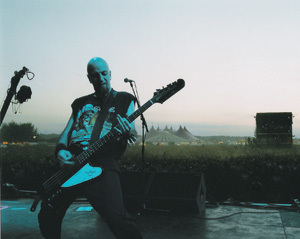 SHAVO: Sometimes fans come up to us and thank us for making them aware on a topic or two. That’s great because it really gives you a feeling that you’re doing something worthwhile. But there are others, they like us for the music. Either way it’s all good. After all, music is entertainment and we can’t expect everybody to share our views or beliefs. We’re not dictators and it is up to the people to enjoy our music in any way they like. Of course, it is great if we touch people with both, lyrics and the music, but in the end it’s up to the fans. LebMetal: You have an Armenian heritage. In your music, you address the Armenian genocide that happened earlier this century in Turkey. SHAVO: My grandfather told me a lot about it, how he managed to escape and his whole family got killed. I grew up with it and it influenced my thinking. The fact that the band shares the same roots, the same Armenian heritage is a common bond. In a way we’re all outsiders and see a lot of things from the position of an outsider. We look at things from an outside perspective and that perspective is often more clear.Turkey still denies that it ever happened. You can’t just rewrite history. It happened and we don’t want to blame the population for what happened before most of them were born, but it happened and the authorities should stop denying it. LebMetal: Couldn’t agree more. Now my last question is: Will System Of A Down re-UNITE? 1- Serj’s working on a new solo album (which is negative on Soad). 2- I don’t know if you heard that Scars on Broadway split up couple months ago (which is good for us), so I’m just gonna say that keep your fingers crossed my friend. LebMetal: Yeah heard of it, it’s a shame that you guys split up… The fans just want to hear the word RE-UNITE… It was good having you here among us Shavo, I enjoyed interviewing you, finally! Now any last words for the Lebanese metal scene and Lebmetal? SHAVO: Well like I said, LEBMETAL GUYS: KEEP UP THE GOOD WORK, and for the Lebanese metal scene: KEEP IT METAL GUYS… And it was good talking to you again Serj, peace.